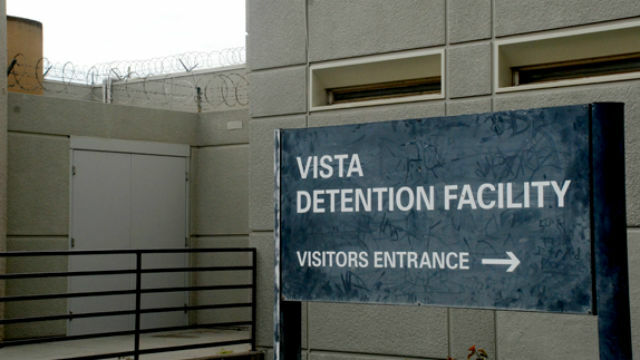 The man who died Thursday at the Vista Detention Facility has been identified as 56-year-old Joseph Castiglione, the Sheriff’s Department said Saturday. Results of an autopsy by the county Medical Examiner’s Office are pending. Castiglione was in custody for possession of a controlled substance, possession of drug paraphernalia, and a violation of his terms of parole. The Sheriff’s Homicide Unit responded to investigate the death. Other inmates in the cell notified guards to the emergency at the jail in the 300 block of South Melrose Drive about 8:45 a.m.
Medics took the inmate to a hospital, where he was pronounced dead about 9:50 a.m.